Article 3; The best interests of the child must be a top priority in all things that affect children. Portadown Integrated Nursery and Primary is taking part in World Maths Day which takes place on 7 March. 4 million students from 200 countries and territories will register for the event in 2018. This is an exciting online challenge open to all our school’s students who will be going up against students from all around the world. The children can play and challenge each other on line and have fun playing games with children from all around the world. Other Events; The children shall also to playing games and activities in class and around the school such as a number hunt around the play ground, playing games and activities in class, playing mathletics in school and at home, swapping with other classes to take part in number games and much more. Enjoy this years World Maths Day! 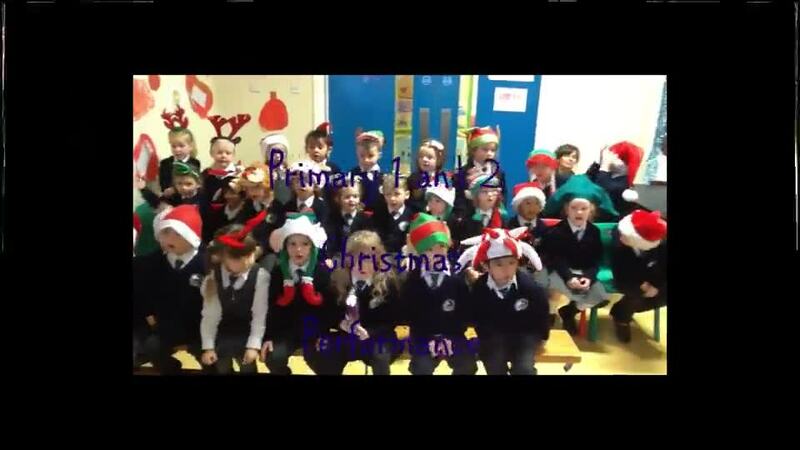 Primary 1 and 2 children performed Christmas songs for a very appreciative audience of family and friends. The children were fantastic and really enjoyed filling the hall with their beautiful voices. A brilliant performance by all the children involved...they were just amazing as I am sure you will see from the video below. Have a Happy Christmas and a Wonderful New Year! Enjoy! Harvest today was celebrated by the school with parents, pupils and staff at PIPS. Primary 4 led the way and celebrated Harvest by creating an assembly that was filled with songs, dance and a Harvest Story. Well done to everyone who took part! You are brilliant. We were delighted to have some pupils and staff St. Teresa's PS along to watch the performance. St.Tesesa's PS from Lurgan is our partner school in Shared Education. 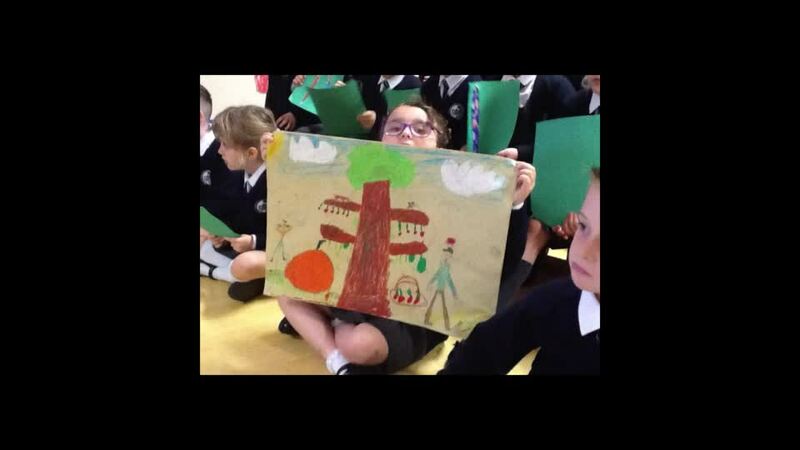 At Portadown Integrated Nursery and Primary School children learn about rights through the United Nations Convention on the Rights of the Child (UNCRC). We believe that by understanding their own rights children learn to appreciate and uphold the rights of others. Children are taught to understand that with rights come responsibilities. Our playground and Classroom Charters are used to guide the schools vision and helps us to think about the Rights and Responsibilities we all have in our community. At Portadown Integrated Nursery and Primary School we encourage the children to actively participate in their own learning and to be a part of the school decision making process. School Council representatives from each class meet together to discuss, negotiate and make decisions that will affect the whole school. Portadown Integrated Nursery and Primary School is a Rights Respecting School. Recently we held a very important occasion, inviting people from the community into our school to discuss and learn about the integration within the local community. Poratdown Integrated Nursery and Primary School has been awarded the prestigious Rights Respecting School by UNICEF.